We want Somalian shop, not a church! THE Somalians’ corner supermarket used to be a hive of activity. And because the shop owners even assisted the poorest with credit, it was very popular. Then xenophobia spread across parts of KZN like wildfire. Soon the Somalians fled for their lives, leaving the building empty. But when residents saw activity again at the shop they were surprised when they didn’t find their old familiar shop there – but a church! New Jerusalem Healing Ministries saw the opportunity to use the building left empty by the Somalians when they had to flee Chesterville kasi, west of Durban. But residents are not impressed! They accuse the church’s senior pastor, Nana Mhlongo, of being a chancer. They said they want the Somalian shop back and not a church. A resident who asked not to be named said: “They should be praying for the foreigners not taking over their supermarkets. Another resident said the kind Somalians helped them feed their families even when they did not have money. But the pastor said the xenophobia was a blessing in disguise for them. She told Daily Sun that they had problems at the community hall they had been using. “We did not chase the Somalians away. 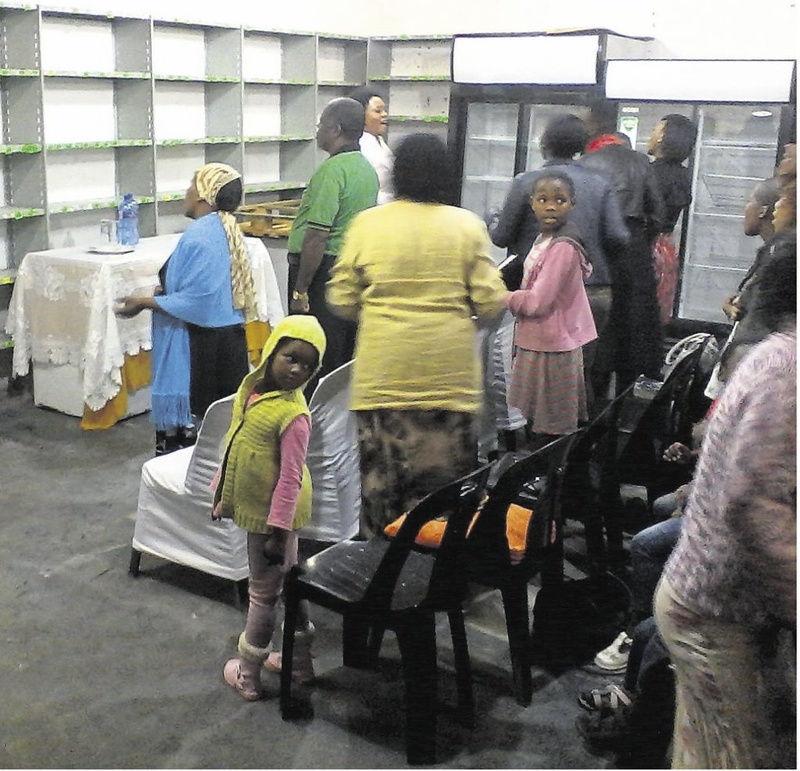 “We thought it would be best to approach the owner and use the supermarket as our church for now,” said Mhlongo. She admitted residents have been coming to the supermarket to check if the Somalians had returned. And they seemed shocked to see them worshipping there instead. Property owner Lungile Ndaba said people keep asking her to chase the church members away. That is because they hope the Somalians will return once the violence has stopped, she said. But she said she was also a member of the church. “The church approached me after they heard that the Somalians had left. It’s only fair that the supermarket be used while it’s empty. “Should the Somalians return, the church will go back to the community hall,” she said.